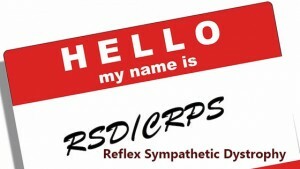 RSD or Complex Regional Pain Syndrome is unfortunately a chronic pain disorder that affects the limbs. Our clients get it from an injury. It causes intense pain. It is a frightening and debilitating injury. A. CRPS-1. 90% of our clients are diagnosed with this condition. It is the standard RSD, CRPS presentation. B. CRPS-2. (Also called Causalgia.) This is much less frequent and it occurs after an injury. It causes immediate nerve damage from the very beginning. Unfortunately, the usual symptom is constant and persistent pain, which most of our clients describe as a continual burning sensation. Our clients report that the pain worsens over time rather than improving and it causes changes in the skin, hair, and even the nails of the affected limb. There is also extreme sensitivity so that the slightest touch or sensation becomes intolerable. If you have developed RSD after a California personal injury, please contact the RSD CRPS attorneys at Nadrich & Cohen. Because of our success, we have 18 offices located in Irvine, Bakersfield, throughout Los Angeles, Long Beach, Pasadena, Fresno, Pomona, San Bernardino, Riverside, Palms Springs, Victorville, Fresno, Oxnard, Sacramento, San Diego, SanFrancisco, San Jose, Santa Rosa, Stockton, Merced, Torrance, Santa Barbara, Oxnard, Ventura, Santa Maria, Monterey, Salinas. We have handled many RSD/ CRPS cases and understand and know how to present the diagnosis, the severity of the pain to insurance companies, lawyers, judges, and juries. Please contact us today at 1-800-718-4658. We are contingency lawyers, so it will never cost you anything to represent you until we first obtain a recovery.